Have you ever wanted an opportunity to study abroad? Do you have a passion for learning outside the boundaries? The Murrow Global Expedition program may be for you! Students find their own stories while immersed in two incredible international locations. 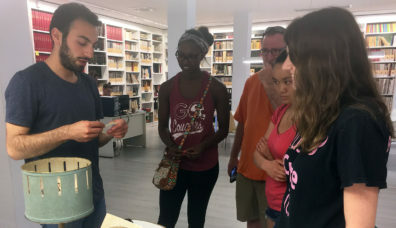 This faculty-led summer semester features cultural learning and storytelling practice with local organizations. 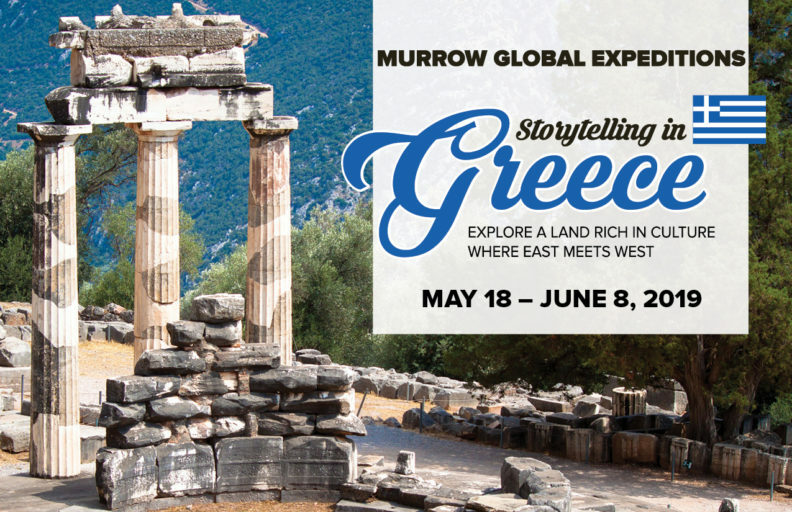 The ancient ruins of Athens and Thessalonica, the inspiring sanctuary of Delphi, Meteora’s towering monasteries and the wonders of an old and enduring culture set the scene for an exciting global learning opportunity provided by the Edward R. Murrow College of Communication: Storytelling in Greece. This month-long study-abroad program offers students the opportunity to complete elective courses (six credits total) while creating public relations and strategic communications work for Greek organizations in the northern city of Thessaloniki, on the coast of the Aegean Sea. Storytelling in Greece is designed to provide a mix of culture, real-life business experience, and opportunities for multimedia production in an extraordinary setting. ALL MAJORS WELCOME. Scheduled for May 18 – June 15, 2019, this program is offered to all WSU students who demonstrate they are ready to produce quality media in COMSTRAT 475 Special Topics: International Storytelling and COM 475: Global Video courses with digital-media focused objectives. From the World Cup to the Tour de France, students will explore how and why sports media cover international events. 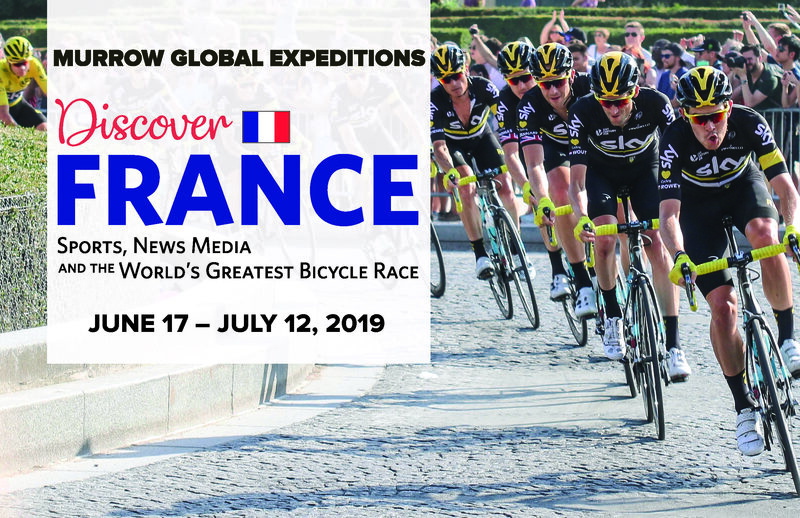 Students will learn multimedia field production along the route of the Tour de France, the world’s most famous bicycle race, and visit sports sites in Paris, home of the 2019 Women’s World Cup and the French Open. 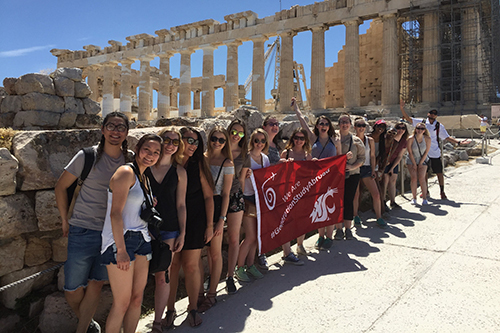 This month-long study-abroad program offers students the opportunity to complete elective courses (six credits total) while learning in-field sports production and about the history of international sports events. International Sports Media is designed to provide a mix of culture, professional experience, and opportunities for multimedia production in an extraordinary setting.